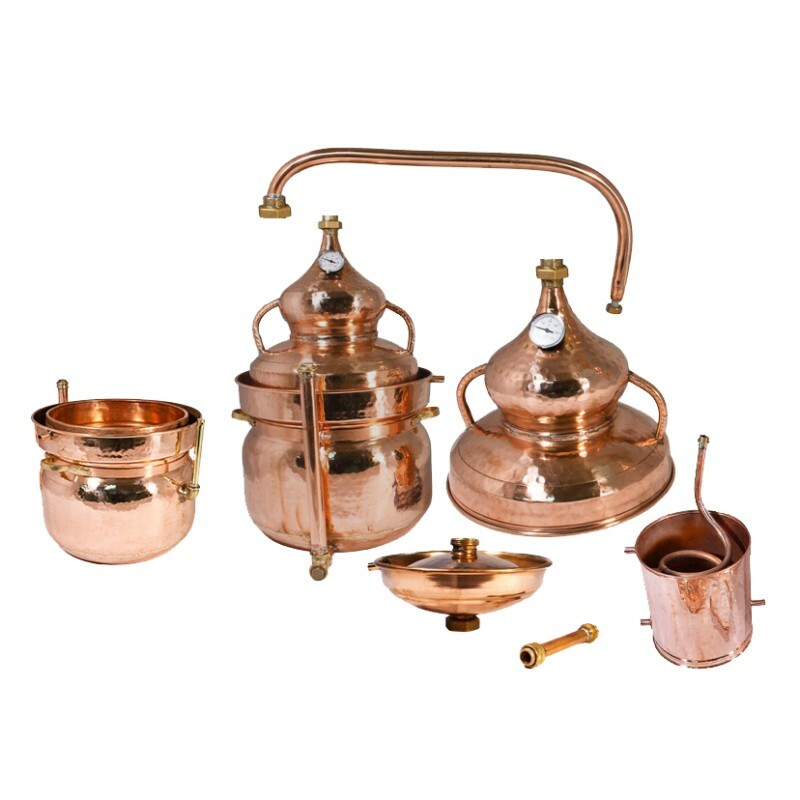 Using alambic on a water bath, it is possible to carry out distillation of any vegetable material containing fruits, berries, corn, potatoes, corn and other plant components. 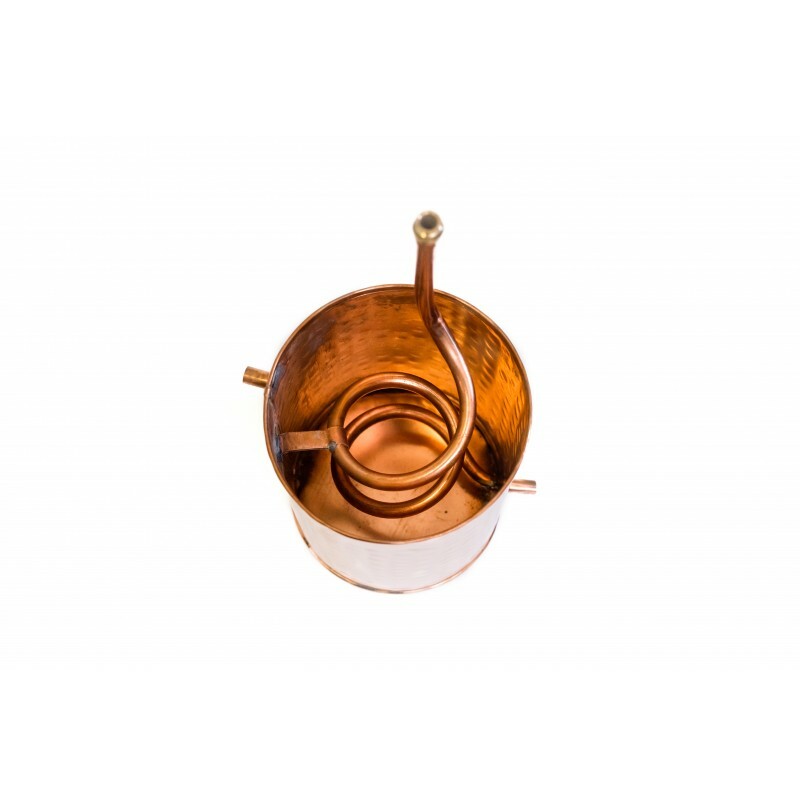 This model is completely made of high-quality copper, which will allow you to get such drinks as - whiskey, cognac, calvados and chacha. 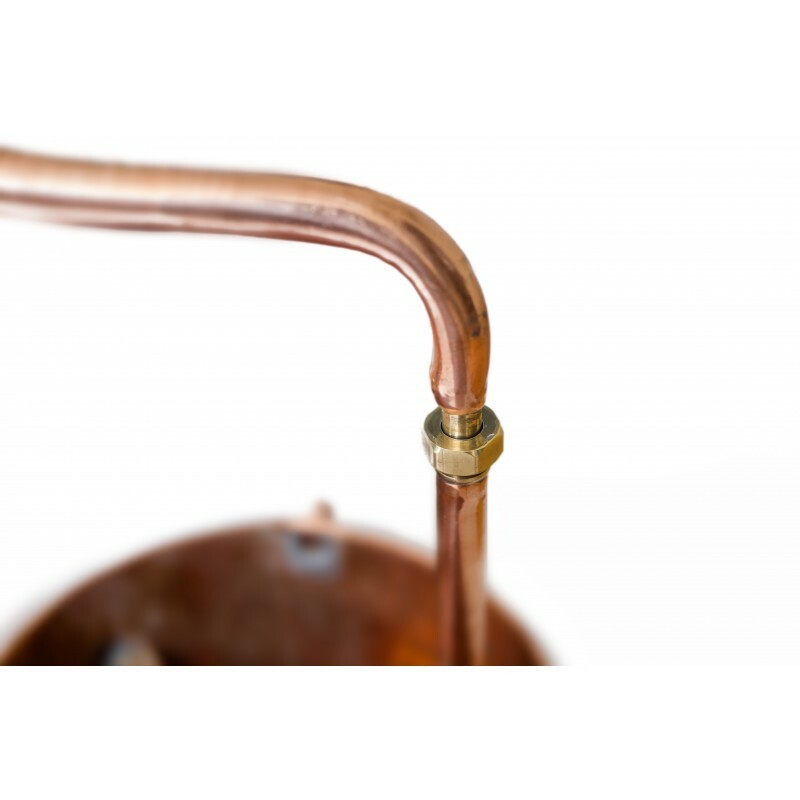 Thanks to a water bath the device is suitable for distilling all types of brags, especially thick and viscous, unfiltered and fruit. Wort heating occurs evenly and sparingly, so it will not burn. 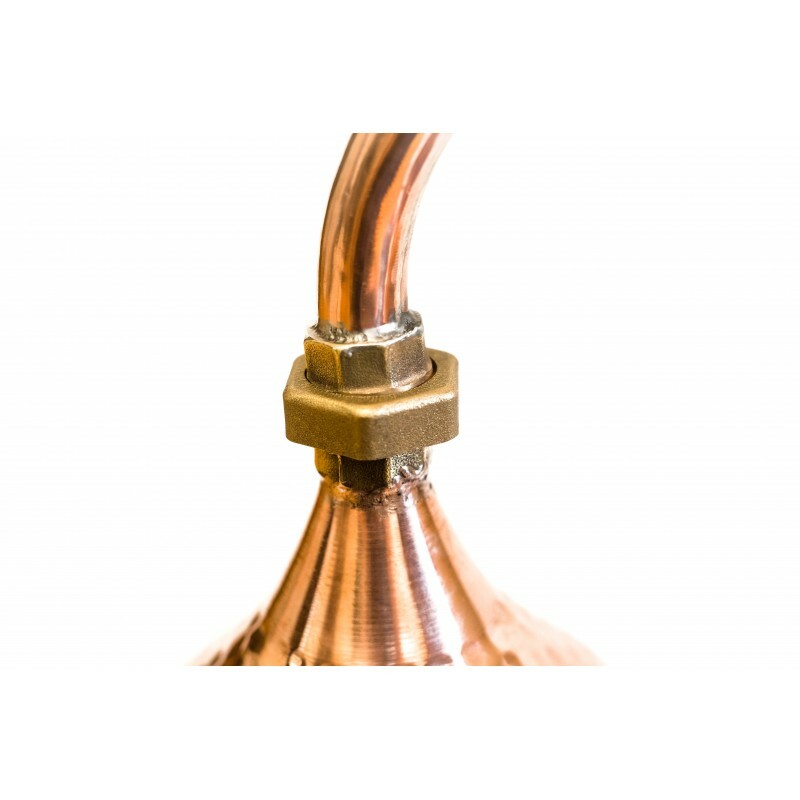 The distillation cube is equipped with a hydraulic seal to provide additional sealing of the connection between the dome and the boiler. If the liquid is distilled in a conventional brewing machine, then there is a risk of its sticking to the walls of the cube. Of course, you can perform a preliminary filtration of the liquid, but you can lose a large amount of the final product. 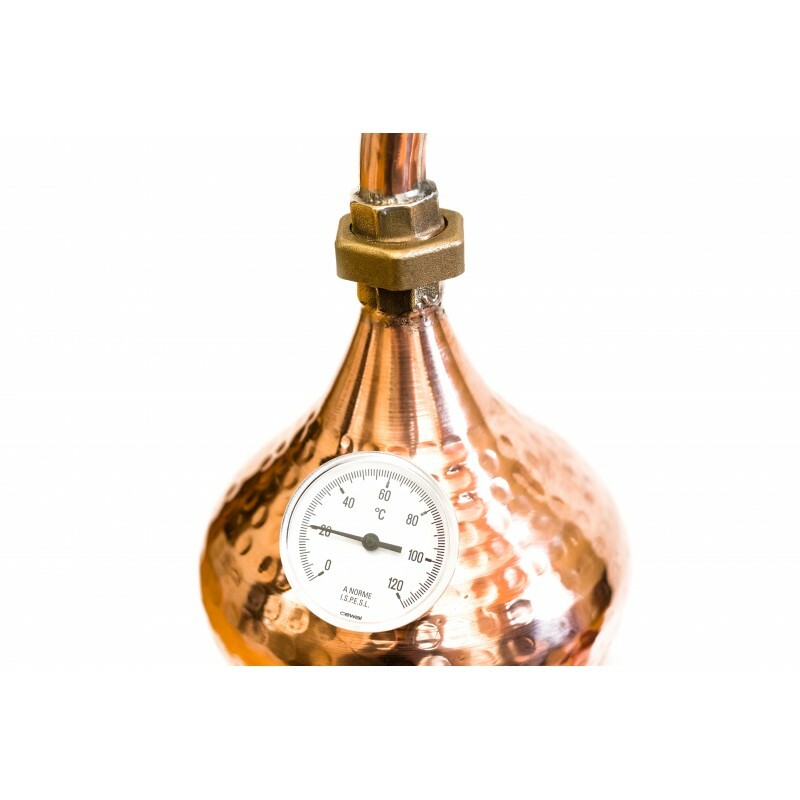 Alambic on a water bath allows to carry out unhindered distillation of a thick raw material, since both the container and the liquid in it are heated evenly using a gentle regimen.